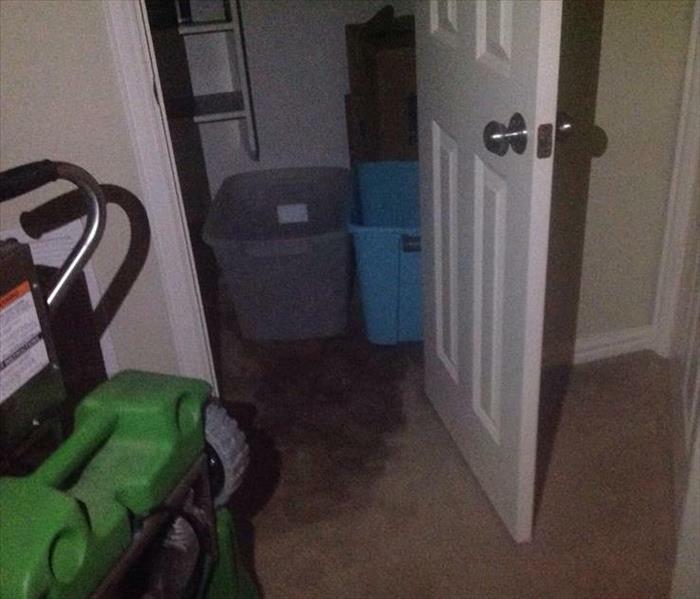 Grapevine, TX Drying a Water Damaged Home or Business | SERVPRO of Grapevine / NE Tarrant Co. Even though the water has been extracted, we’re still not quite done. A surface may appear dry, but it’s still wet to the touch upon further inspection. Almost all building materials and flooring are porous and retain water. It’s important to get these materials dry, because they can break down, warp, and potentially mold. 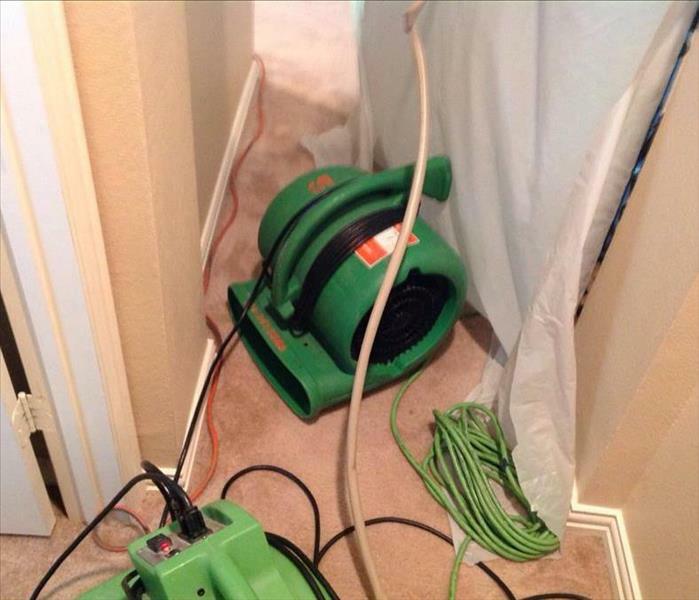 We will use two pieces of equipment: air movers and dehumidifiers. Air movers are like a special fan that moves air along the surface. We’ll place them in strategic places around the affected areas to make sure to get every inch dry. Dehumidifiers remove the residual moisture in the air to lower the humidity of the room. They draw in the cool, moist air and replace it with warm, dry air – that gets your property dry fast.